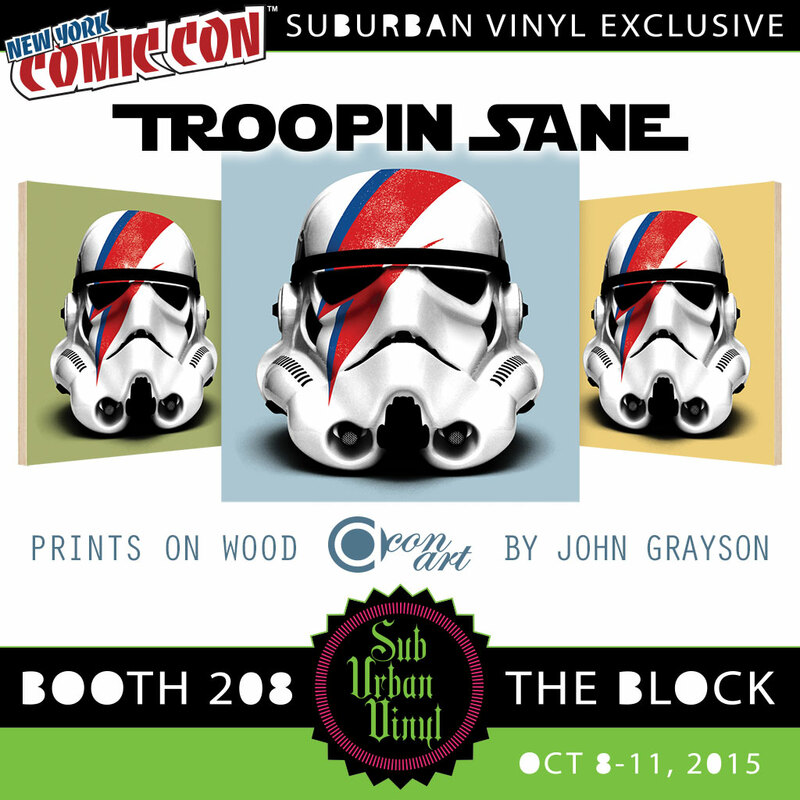 I have teamed up with Sub-Urban Vinyl Toys and Art to release Troopin Sane Prints on Wood exclusively for this years New York Comic Con. Printed on 1/2″ sustainable birchwood by Prints on Wood, these new prints will be available in 2 different sizes and 3 different colors. The 8″ x 8″ will come in two colors, mustard and olive, and are limited to just 25 of each. The larger 10″ x 10″ light blue version is a limited edition of only 10. These will all be available at Booth 208 in The Block starting when the doors open on Thursday. I will be at the booth signing from 12-1pm as well on that day so stop by and say hello. 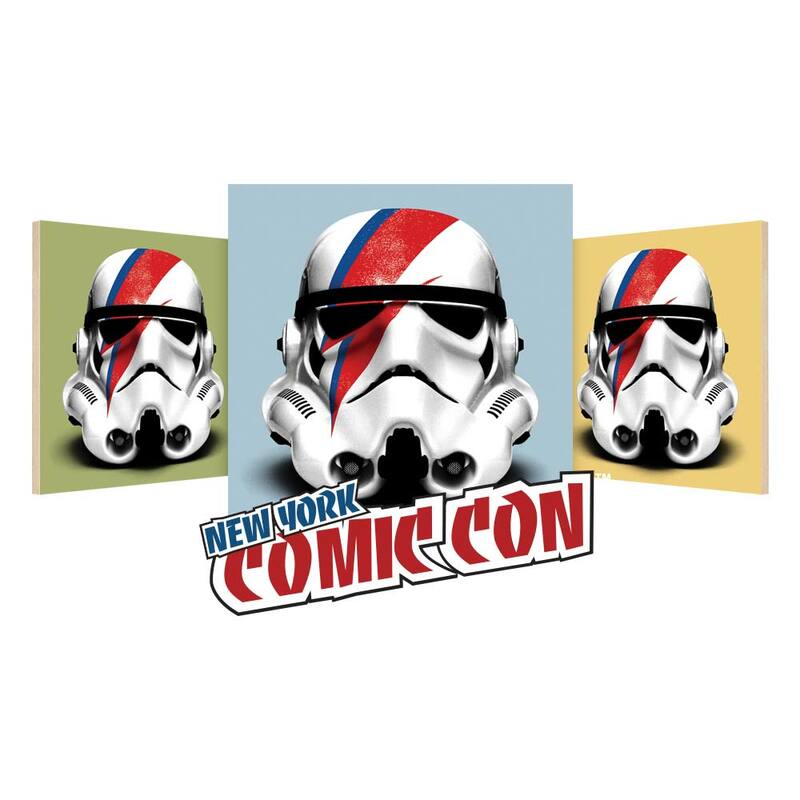 visit nycc2015.com for more info about this release and all of the other NYCC 2015 exclusives that Suburban Vinyl has in store.